When it comes to online stores, online marketplaces, and online retailers, what actually comes to your mind? Amazon! Buy do you know that there is another large and useful e-commerce platform that has started to attract interests and likes all over the world? Do you know what this is? It is the China-based e-commerce company known as Alibaba. Having one of a large and successful business model amongst all other platforms and companies, this company is said to gradually get to the top in the field of online marketplaces and online stores. And with the drive of its success, this company is globally known for its amazing services and functionalities. But the thing is, how does Alibaba really make its money? What is Alibaba business? Let us first look at what the Alibaba is all about and how it works. Alibaba is china’s and the one of the world’s largest online marketplace and commerce platform. This site is just one of the most famous and most used online shopping sites in the world. Currently it is a fast growing online commerce market. Its online transactions for the whole of last year have been summed up to give out the total of 250 billion dollars, which was actually higher than lots and lots of online commerce companies. 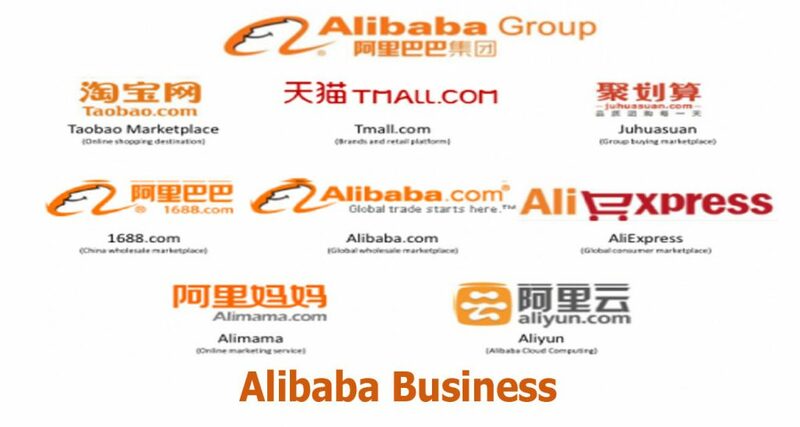 The Alibaba has gotten three main sites under its ownership. It has the Taobao site, the Tmall site, and the Alibaba.com. all these sites serve as shopping sites where users are allowed to buy and purchase items and goods. In this site, merchants who plan on having online shops are also allowed to sell their products on this platform. This company is just an amazing host that knows just how to host and handle business in the right way. Alibaba is an ultimate marketplace, a search engine and a bank – it is just an all in one company! We have come to the part of having an understanding of Alibaba Business. The e-commerce large and popular company based in china has been able to boast of its high and trending statistics. The Alibaba company has given a report for its sales in china as 58 percent. And as of the 2018 report, the e-commerce company attracted over 576 million active users on the platform. The company also recorded orders of about 25.5 billion dollars as of November 2017. But despite the recent economy of china, it is still said that the company will be able to hold a sales worth billions and billions of goods. And while so many users out there have been able to get the understanding of how the large alibaba site have been in the second place next to amazon. Alibaba Business is actually very different from all other e-commerce companies. This is because the Alibaba Business have been divided and segmented into Alibaba, Tmall and Taobao. All these sites have been designed all for the purpose of building connections between buyers nd sellers. And with this, Alibaba is known as the middleman in the e-commerce industry of china. How Does Alibaba Business Make Money? The Alibaba Business is officially divided into Alibaba, Tmall, and Taobao. And the Alibaba Company has been able to make money in different ways using these online shopping sites mentioned above. each of these sites have been able to connect the art of buying and selling between a whole lot of individuals and businesses. Here’s how Alibaba Business makes its money. This site works like Google and it gives you a list of result when you search for particular keywords. From here, online businesses and merchants are given the chance to market and advertise their products and goods. This is the medium through which Taobao makes money. Tmall offers its users and customers with brands goods and services, which serves the middle class of the china country. Taobao works mainly on small merchants and entrepreneurs, but Tmall takes full responsibility of larger enterprises and companies. Here’ s how Tmall makes money. Commissions and percentage prices from the price of products. The services of marketing from suppliers. Alipay is known on this platform to be an online payment method that aids its buyers to pay for their transactions and purchases. It comes in form of an e-wallet, which actually stores funds and money fro users. The users can then make use of this funds to pay for items and services online and offline. There are two main ways through which users make use of the Alipay service. It culd be used via the main Alipay app installed on mobile devices, and it can also be used by users logging in to their Aliay page online. Here’s how Alipay makes its money. This service does not really deduct any charges or fees but it makes its money from the stored funds in a users’ bank account with Alipay. From here it receives interests and invest on these funds. Alibaba business is just one very popular one that makes the trade of china very easy. However, it is not just the only reason for its huge success but it is the main game of the company, and that is the e-commerce platform, Alibaba.com, Taobao, and Tmall. Aibaba business is profitable and highly useful and their success if ever enhancing. They have just got what it takes to gain upfront in market.